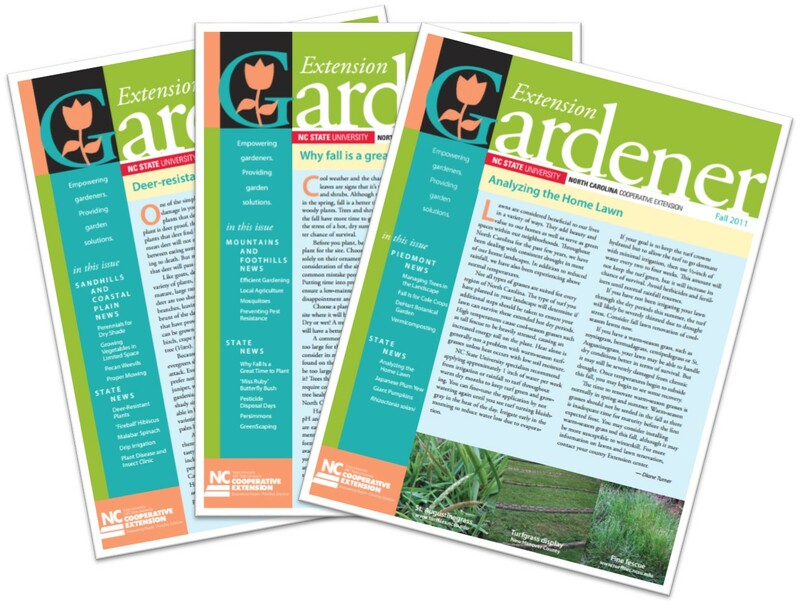 Extension Gardener is a series of quarterly newsletters with separate editions focused on the North Carolina Coastal Plain, Mountains, and Piedmont. Articles are written by horticultural experts with the North Carolina Cooperative Extension Service. Cooperative Extension is the educational outreach of NC State and NC A&T State universities. Visit the Extension Gardener Website to see the current newsletter, featured articles, and timely gardening information.